Made in Haiti, Haiti’s first honorably produced Knock off fashion brand showcases its Private Label Women’s Apparel. Los Angeles 13 May 2011 / Made in Haiti, Haiti’s first honorably produced fashion brand premiers its Knock off women’s apparel, on the streets of Chicago. 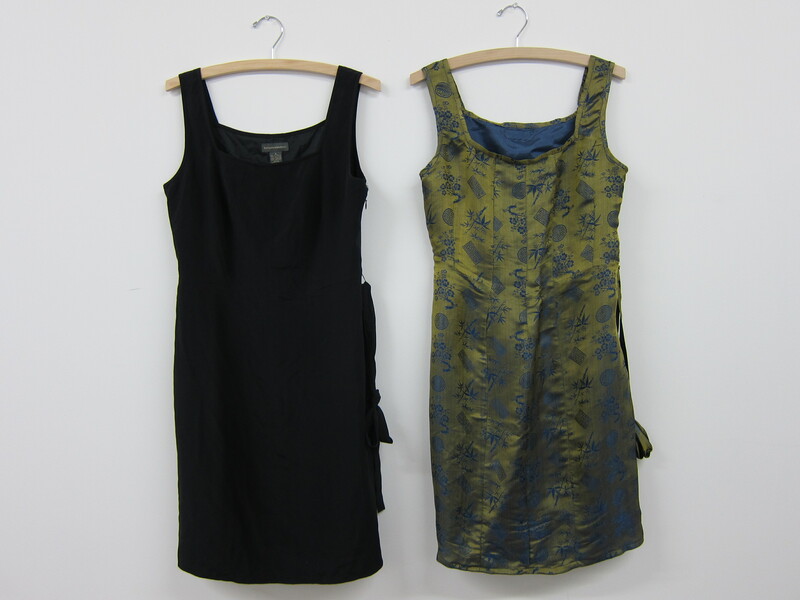 The collection featured Made in Haiti’s in vogue range of skirts, vests, wrap dresses and blouses. “Dress by Occasion” is the official theme for the this group of mix and match garments, produced for private clients, who are looking for garments you won’t see on the rack at H&M, Forever 21, or the GAP. The road to recovery in quake-ravaged Haiti is paved with treadle sewing machines. 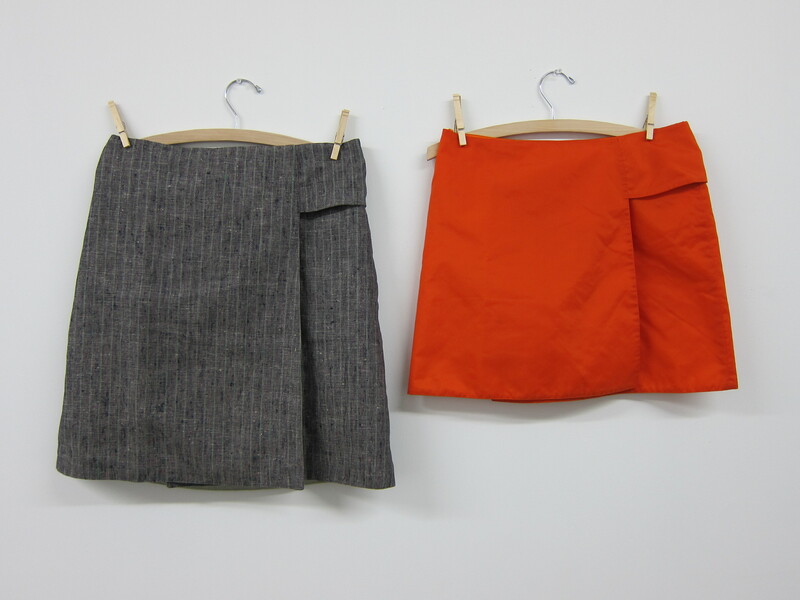 While much of Haiti is still struggling to lift itself from the rubble left in the wake of the earthquake, the tailors studios which dot the landscape of Port Au Prince, are piecing the city back together with mending, altering and construction of school uniforms. Hope in Haiti can be found in Haitians like Jonas La Baze. The 44-year-old tailor is at work in his studio on Rue St Honore, off the Grand Rue in Port Au Prince. 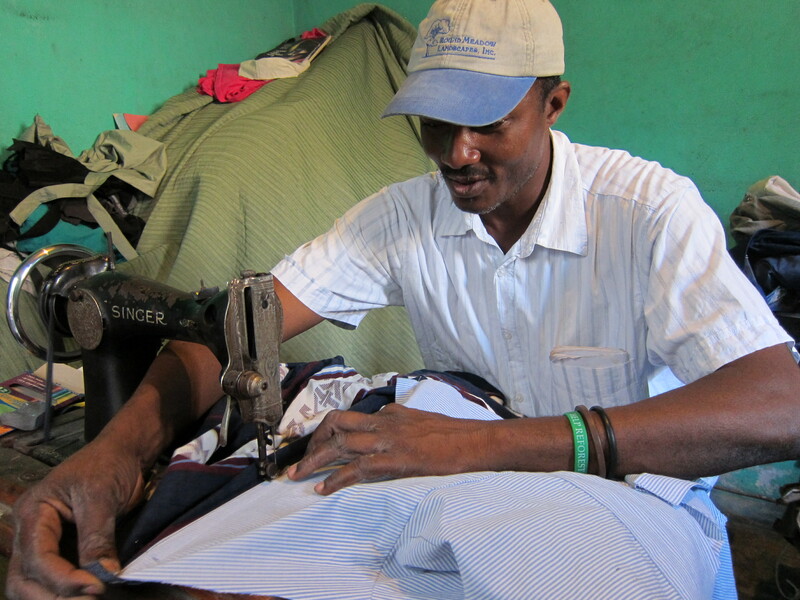 He sits at his machine, thinking of the day when he will open his own tailoring school in his hometown of Leogone, the epicenter of the earthquake, which ravaged Haiti in January of 2010. Today Jonas is working to produce repurposed over-all backpacks, camera cases, aprons, and other items for the brand Made in Haiti, an ethical textile company for the American market. He is dedicated to the possibilities of his treadle machine to rebuild his future and that of his country. 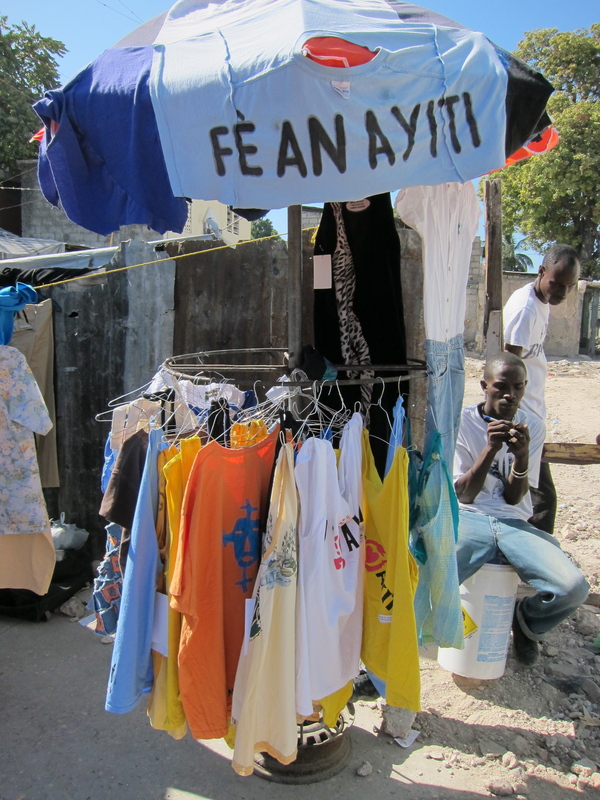 As Haiti develops plans to rebuild, the entrepreneurial spirit found in the small tailoring shops like Mr. La Baze’s are worth investigating and investing in. The other options for jobs in Haiti are the Caracol manufacturing complex. Caracol is part of the “Haiti is open for Business” campaign, supported by Bill Clinton, special envoy to Haiti. This 608-acre manufacturing complex will generate thousands of low paying; sweat shops jobs, owned by non-Haitians. Is this economic development or foreign occupation and slavery?